Torque Media will is becoming a big hit among Pinoy Audio/Video enthusiasts as each phone can have expandable external memory up to 32GB versus the 2GB that most foreign competitors offer. 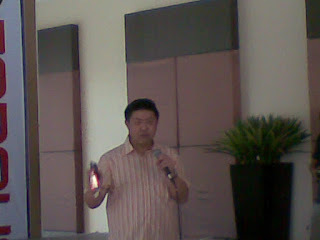 In a briefing held at Les Pavilion last December 10, Torque gave a sneak peek on its DROIDZ Portal and DROIDZ Ultimate Tablets soon to hit the markets come January 2013. 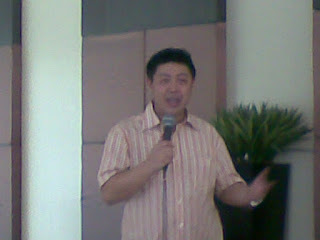 This Pinoy brand aims to step up the local mobile phone landscape with its new TORQUE Media Technology. These Torque models have Call and Text features, JAVA / SMS / MMS capabilities, WiFi, Bluetooth, WiFi Tethering, GPS and AGPS Support, 3.5mm stereo headset jack, Micro-USB port and Light/Proximity/Gravity Sensors. With the customization that Torque offers, convenient communication is made more affordable to every Juan that wants it. Torque's Droidz Flash comes with 7.0” WVGA 800×480 Capacitive Touchscreen, Multi-touch Zoom, Slim form factor, 3-Axis Gyro/Accelerometer matched with Android 4.0 (Ice Cream Sandwich) OS for a refined interface and easy access that is more engaging and interesting. Running at 1.2 GHz CPU with 4GB ROM and 512 MB RAM, Droidz Flash is your best mate when it comes to functions, power, and connectivity. It is also equipped with dual cameras with 2-megapixel rear camera and VGA front camera. With your Favorite Movies accessible via mini-USB or Micro-SD, plug in your 3.5mm Stereo Headset and enjoy Full-HD 1080p video experience, all movies are now ready for your enjoyment. Connect via Wi-Fi or your preferred 3G USB stick allows you true internet freedom on-the-go. You may also want to try out Torque's large display Pinoy DROIDZ series and choose between the affordable DROIDZ Atom with 4.0” WVGA 800×480 Capacitive Touch, or the corporate DROIDZ Blast with 4.7” qHD 960×540 Capacitive Touch, or the Note-like DROIDZ Motion with 5.3” qHD 960×540 Capacitive Touch, or the massive DROIDZ Life with 6.0” FWVGA 854×480 Capacitive Touch. Torque is launching its DROIDZ Portal and DROIDZ Ultimate Tablets come 2013. These two models have Call and Text features, JAVA/SMS/MMS capabilities, Wi-Fi, Bluetooth, Wi-Fi Tethering, GPS and AGPS Support, 3.5mm stereo headset jack, Micro-USB port, and Light/Proximity/Gravity Sensors. 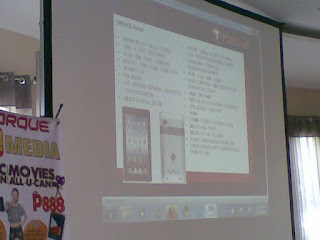 DROIDZ Portal runs at 1GHZ Dual Core CPU with 4GB ROM and 512 RAM. With its 7.0” WSVGA 1024×600 Capacitive Touchscreen, and a multi-touch zoom, users will sure to enjoy Droidz Portal’s interface that uses Android 4.1 (Jelly Bean). Torque Next Full understanding of the market always needs something fresh – design and functionality-wise, so Torque proudly embraces Pinoy Pride to the Next!